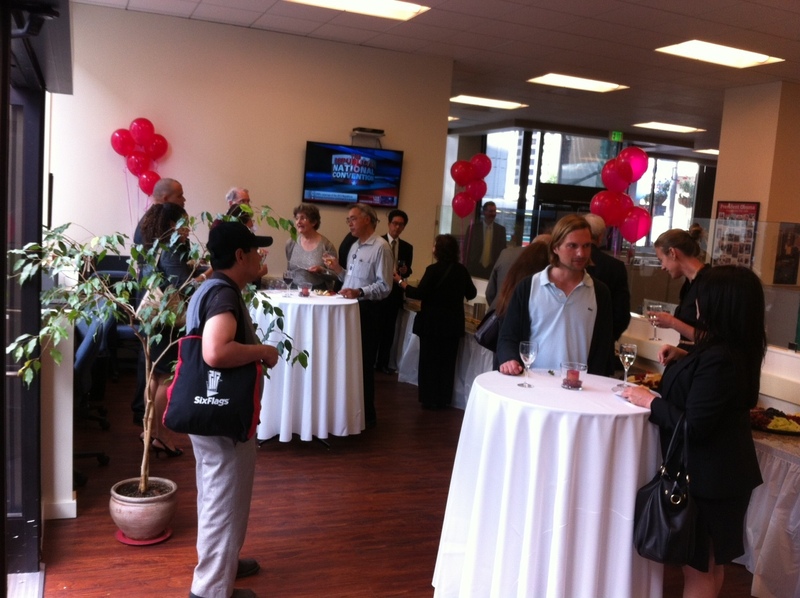 People gather for a reception at the Oakland Tribune’s downtown community newsroom Thursday evening. The Community Media Lab where the refreshments are served is usually set up with computers for community use. In the background is the Tribune’s newsroom. 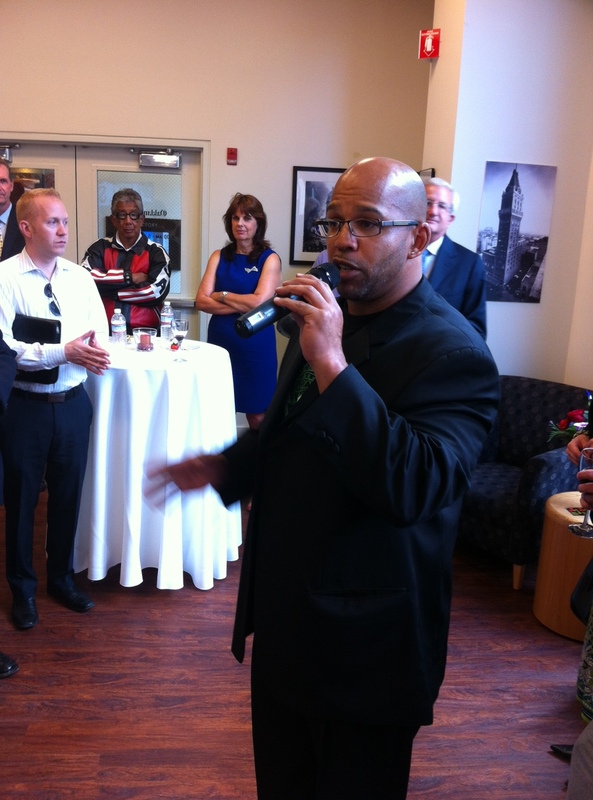 Martin Reynolds emcees Thursday’s opening reception at the Oakland Tribune’s downtown community newsroom. Yes, the Tribune is back. I went out to Oakland for a reception to celebrate the return to downtown and to welcome the people of Oakland to a community newsroom with computers and meeting space for public use. As companies like Digital First Media seek to develop a business model for the future, the brand names of newspapers are valuable assets to build upon. But the Oakland Tribune stands out for its rich heritage and emotional connection with its community, giving it almost iconic status. 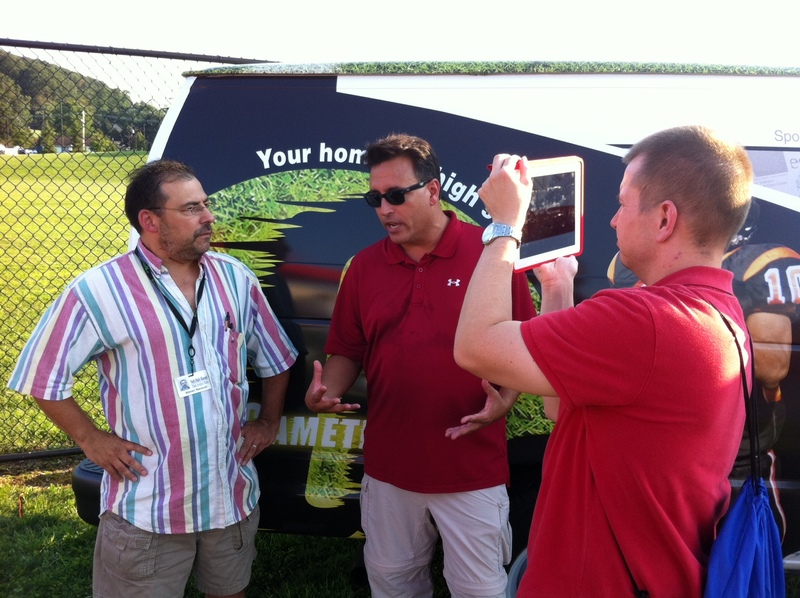 Randy Parker, center, interviews sports writer Steve Navaroli as GametimePA producer Matt Goul shoots video for a livestream. I’ll be blogging tonight from the launch of NewsVroom at Panther Field in York, Pa.
NewsVroom is the mobile community newsroom/classroom of GametimePA, ydr.com, Smart magazine, FlipSidePA.com and the York Daily Record. 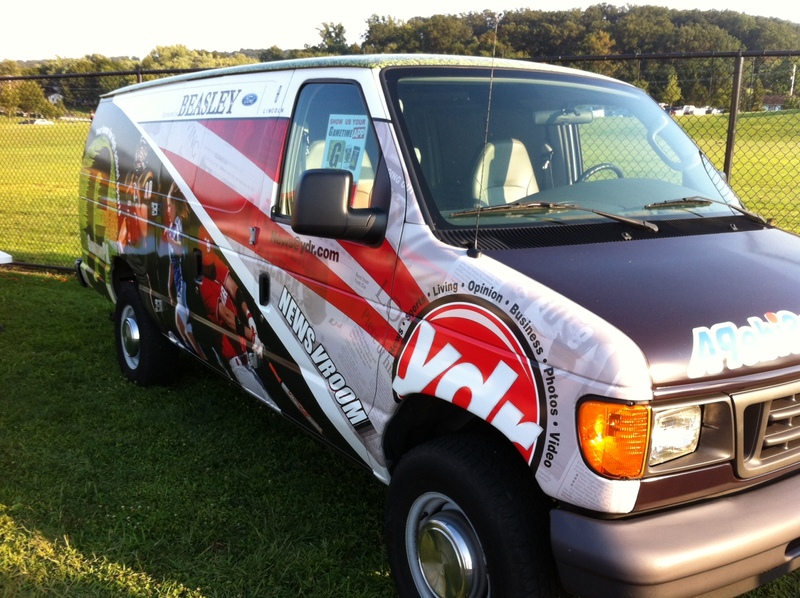 But tonight it’s a GametimePA van, carrying tents, digital equipment, ice, water, coolers, freebies, tables and chairs for journalists and the public as Central York and West York launch the high school sports season. I was pleased Thursday evening to attend a reception to celebrate the opening of the Oakland Tribune’s downtown community newsroom. My schedule won’t permit me to finish a full blog post until possibly this weekend. But I wanted to note the event here now. Update: Here’s the full post on the Tribune’s return to downtown Oakland. 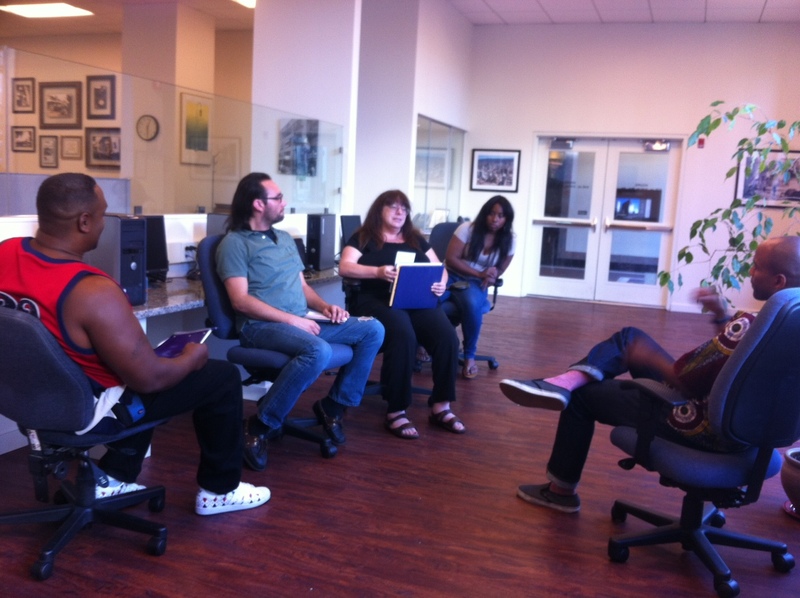 Oakland Voices correspondents (from left) Michael Holland, Edward Cervantes, Debora Gordon and Katrina Davis discuss their stories Wednesday evening with Christopher Johnson in the Oakland Tribune community newsroom. I hope to see more community engagement projects like Oakland Voices. At many of our Digital First Media newsrooms, we organize networks of people already blogging in the community and offer to help people launch blogs. Oakland Voices, a project of the Oakland Tribune, trains and pays people to tell the stories of communities in the East Bay area. I led a writing workshop Wednesday for seven community correspondent/bloggers from Oakland Voices Wednesday at the Tribune’s new community newsroom in downtown Oakland. 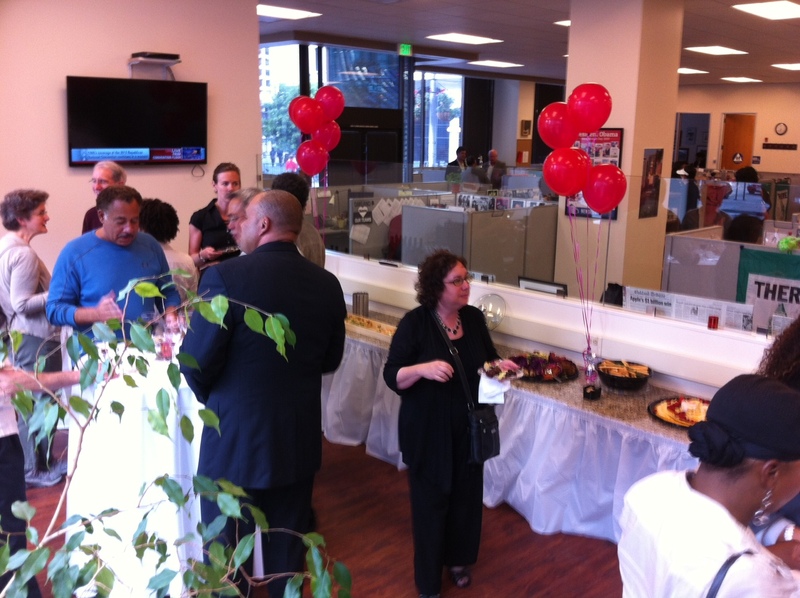 I’ll be speaking briefly this evening at a reception to celebrate the opening of the downtown newsroom. Christopher Johnson, a former NPR reporter and producer, directs the project, funded by a grant from the California Endowment. Martin Reynolds, Digital First regional engagement editor, is executive director of the project, a partnership with the Maynard Institute for Journalism Education. This is the second group to go through the nine-month project, which started in 2010. 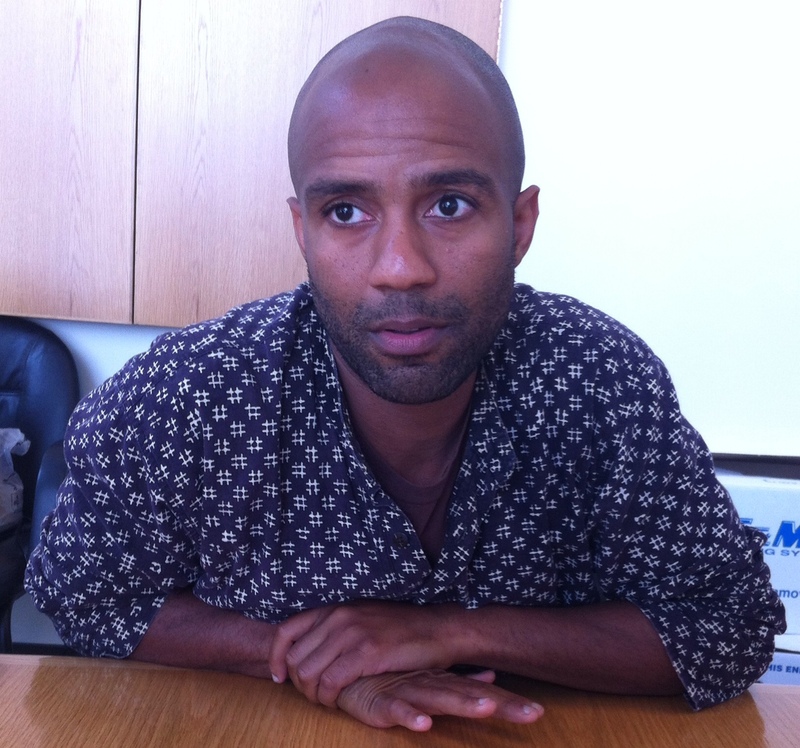 The correspondents are highly motivated to tell the stories of their communities, neighborhoods in East Oakland, Christopher said. “I’m not seeing the value in Twitter,” a journalist told me in a recent workshop. I took up the challenge to show this journalist why Twitter is valuable. I have said often that Twitter is the most useful tool developed for journalists in my 41-year career, with the possible exception of the cellphone (which you can use to tweet and read tweets, so they add to each other’s value). I don’t think the journalist was asking as a curmudgeon (though in some ways this post is a continuation of my Dear Newsroom Curmudgeon post last spring, an effort to help journalists who haven’t been changing as swiftly as the news business). It does say something about your openmindedness if in 2012 you have ignored all the news stories the last several years where Twitter was an essential source of news. But the journalist’s tone was not defiant, more the tone of someone asking for help. And I like to provide help, even if the request is overdue. The journalist admitted to writing a column a while back essentially “flipping the bird to social media.” Despite that, he’s learning Facebook now, but he just doesn’t get Twitter. He’s a busy journalist and doesn’t see why Twitter is valuable enough to squeeze into his day. He was busy enough that day that he had to leave my workshop to cover a story, so I didn’t have much time to respond in person. My job now is to help this skeptic see the value I’ve seen for years. Most of my persuasion with this journalist will be in private correspondence (I sent him a couple emails Friday that I hope will be helpful), but I’ll start with this blog post. When he sees the value and acknowledges it to me, I will do a follow-up blog post, naming him if that’s OK with him or keeping our relationship confidential (beyond those in the conference room where I pledged to help him see the value). My first job in the news business was as a paperboy (I don’t remember any girls or adults carrying papers then) for the Columbus Citizen-Journal from 1968 to 1970. 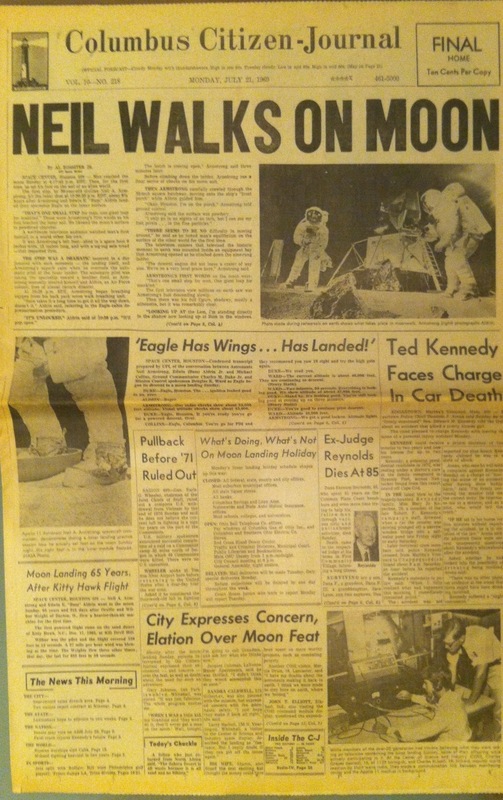 As I dreamed of someday being one of those journalists telling those historic stories on the front page each day, Neil Armstrong was my biggest story. Space exploration was the continuing story of my childhood: Soviet cosmonaut Yuri Gagarin and U.S. astronaut Alan Shepard being the first to fly in 1961, John Glenn orbiting the earth Friendship 7 in 1962, Ed White making the first space walk in 1965, the fire that killed White, Gus Grissom and Roger Chafee in 1967, Frank Borman, Jim Lovell and Bill Anders reading from Genesis aboard Apollo 8 on Christmas Eve 1968 as they circled the moon. I watched them with fascination on TV and read about them in the newspaper. 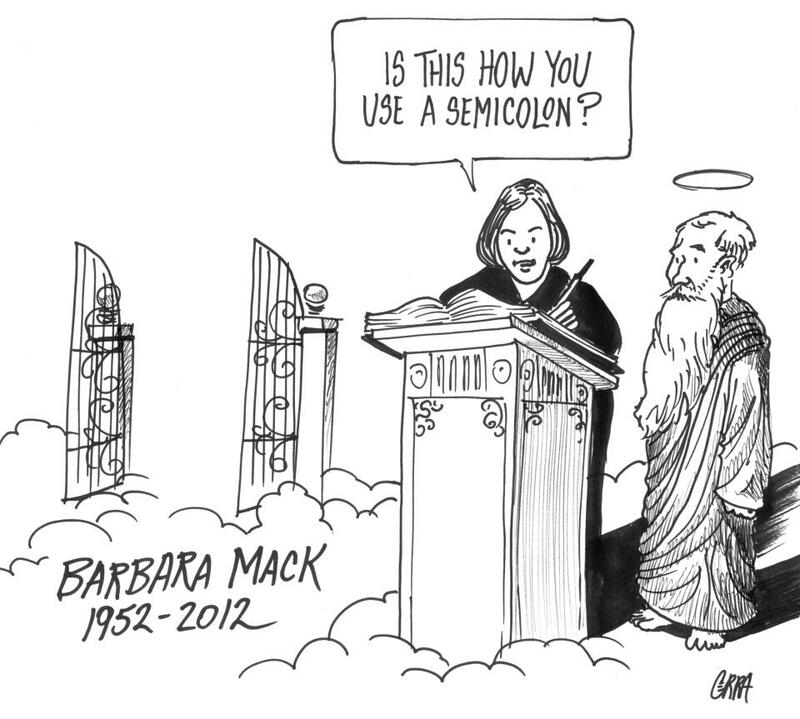 I wish every news organization had a lawyer like Barbara Mack. But there was only one of her. And we lost her Thursday. I was privileged to be an editor and reporter for the Des Moines Register when Barb, a former Register reporter, was the cornerstone of our legal team. We had an in-house legal team, which was rare, even then. As I recall, we had up to five lawyers at a time on our in-house law firm. Gary Gerlach headed the team before he became publisher. Mike Giudicessi, Joe Thornton and Marcia Cranberg were among our lawyers. And I’m trying to remember others (help me out, Register colleagues). I enjoyed working with all of them, but Barb was the most memorable. Everywhere else I’ve worked, you called a lawyer as a last resort. I’ve worked with in-house lawyers who were timid and looked at their jobs as keeping us from getting sued. I’ve worked with outside counsel we called as a last resort and the meter was always running and their job was to keep us from getting sued. Barb and her colleagues were always eager for a legal battle to pry some public information from officials who didn’t respect freedom-of-information laws. She didn’t fear lawsuits and helped us make sure our stories would stand up in court. She loved a fight and I can’t remember one she lost.